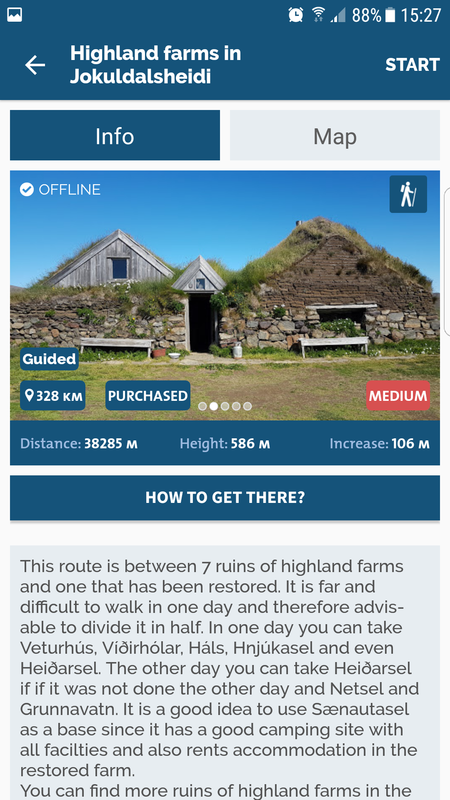 The Wapp – Walking app has published a route between 7 ruins of highland farms and one that has been restored. It is far and difficult to walk in one day and therefore advisable to divide it in half. 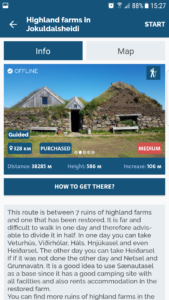 In one day you can take Veturhús, Víðirhólar, Háls, Hneflasel and even Heiðarsel. 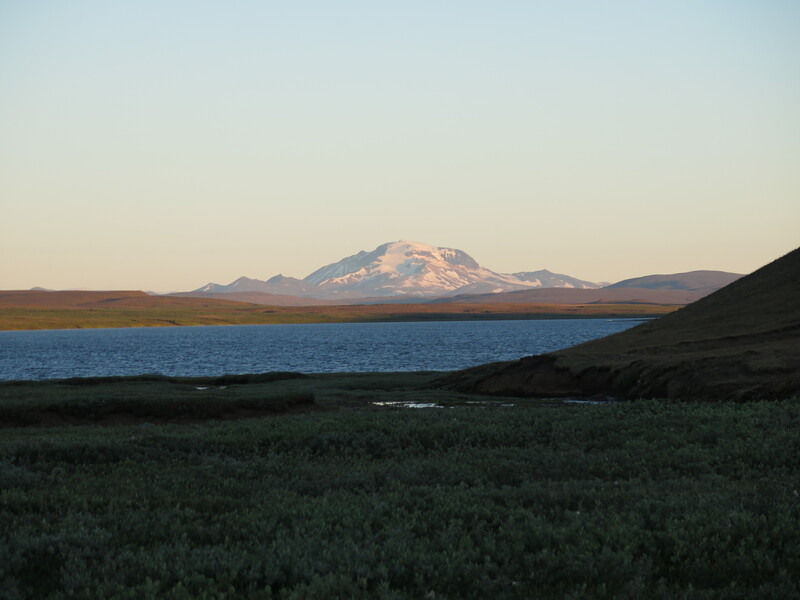 The other day you can take Heiðarsel if it was not done the other day and Netsel and Grunnavatn. 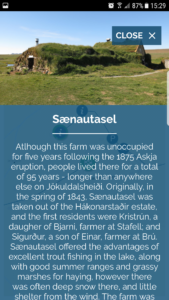 It is a good idea to use Sænautasel as a base since it has a good camping site with all facilities and also rents accommodation in the restored farm. 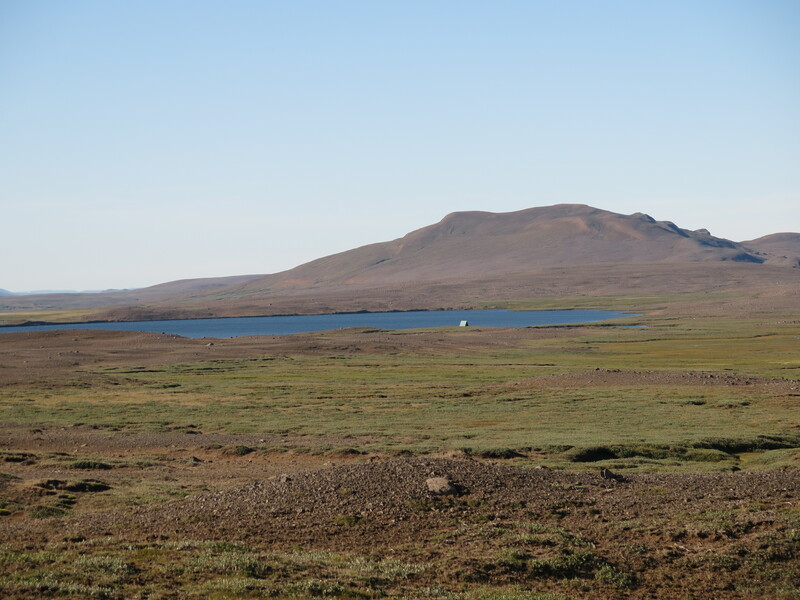 All of these farms were deserted after the great volcanic eruption in Askja in 1875 with many of the inhabitants emigrating to Canada and USA. 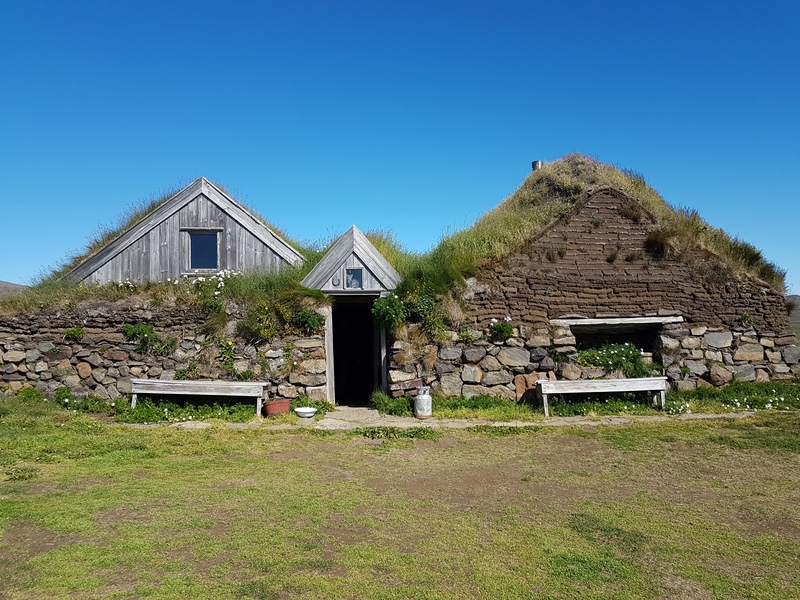 Some of the farms were restored a few years later. 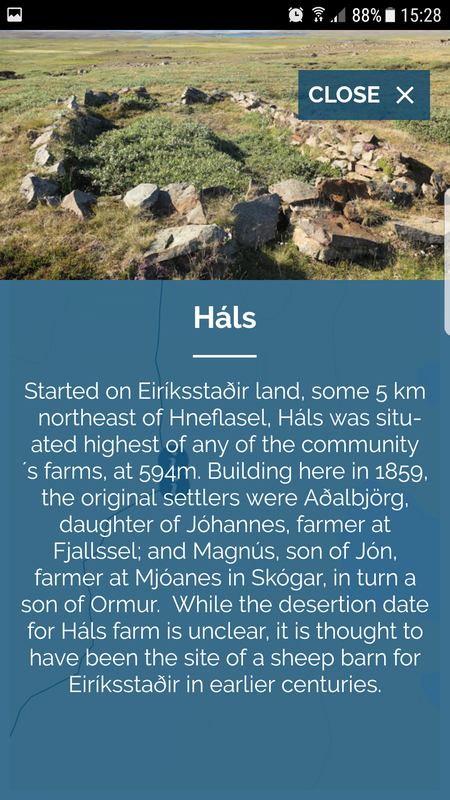 You can find more ruins of highland farms in the Jökuldals and Vopnafjörður hills, and you can find more information on them on the website of Touring Association of Fljótsdalshérað www.ferdaf.is, as well as all the information published in this guide, as it was done in collaboration with the Touring Association. 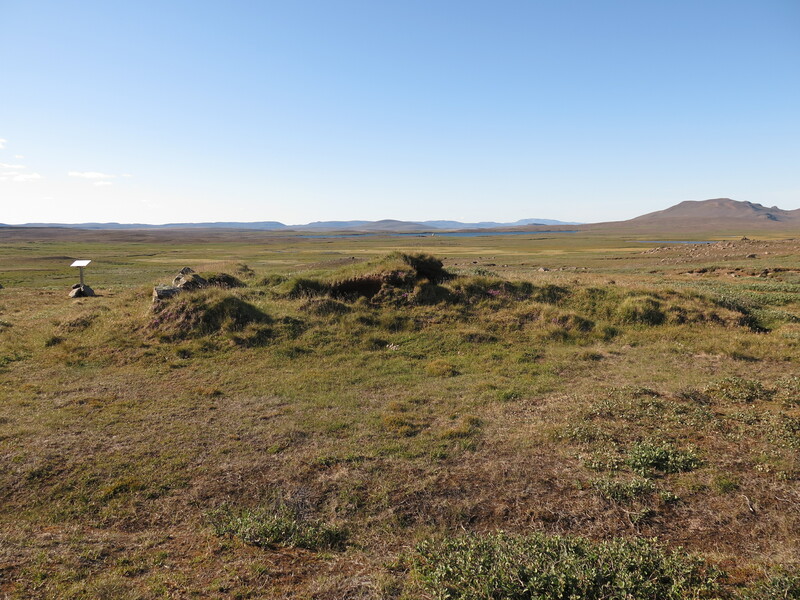 The area is good for hiking, mostly grassy and never too rocky but still uneven at times with „þúfur“ (tiny hills on grassy meadows). 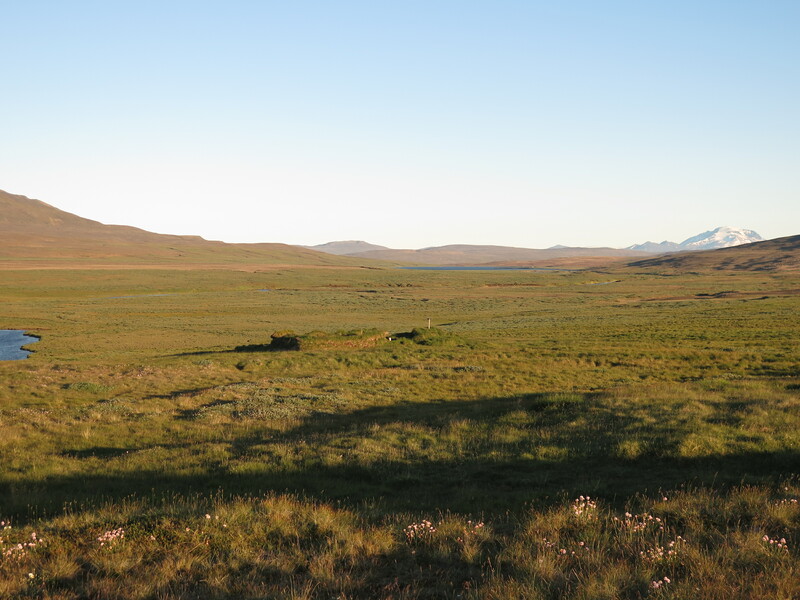 The main trouble is caused by wetlands and since the farms were built close to wetlands there are a few on the way. 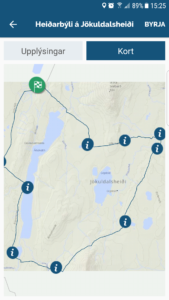 It is, therefore, a good idea to bring extra shoes to wade and it will also come in handy to cross the water close to Heiðarsel. 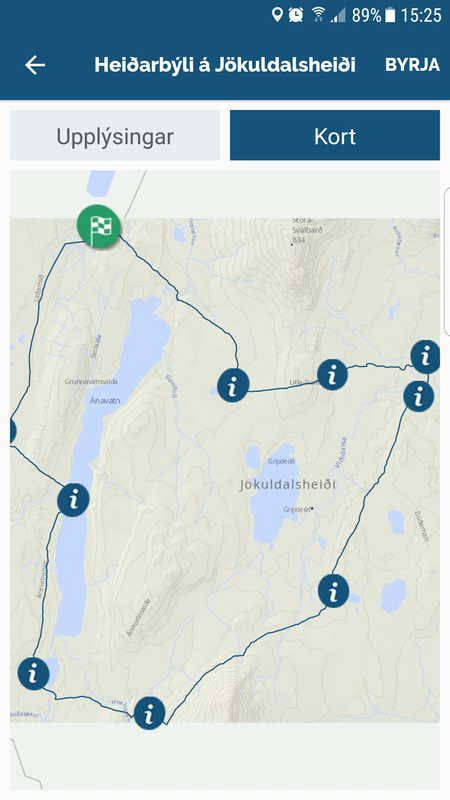 The Touring Club of Fljótsdalshérað, the municipality of Fljótsdalshérað, and Vopnafjörðurs´ cultural and educational centre Kaupvangur have joined forces to increase cultural tourism services in Jökuldalsheiði and other nearby highlands. The old highland farms in these areas are being connected to each other by hiking trails. Receptacles are located at each set of ruins, containing a guestbook and a stamp along with information about that farm, including its residents and history. 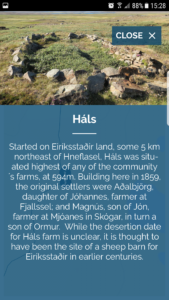 Cards for stamping at each site are sold at Sænautasel, the tourism information centres in Egilsstaðir and Vopnafjörður, Egilsstaðastofu by the camping place in Egilsstaðir and at the office of the Touring Club, Tjarnarás 8, Egilsstöðum. 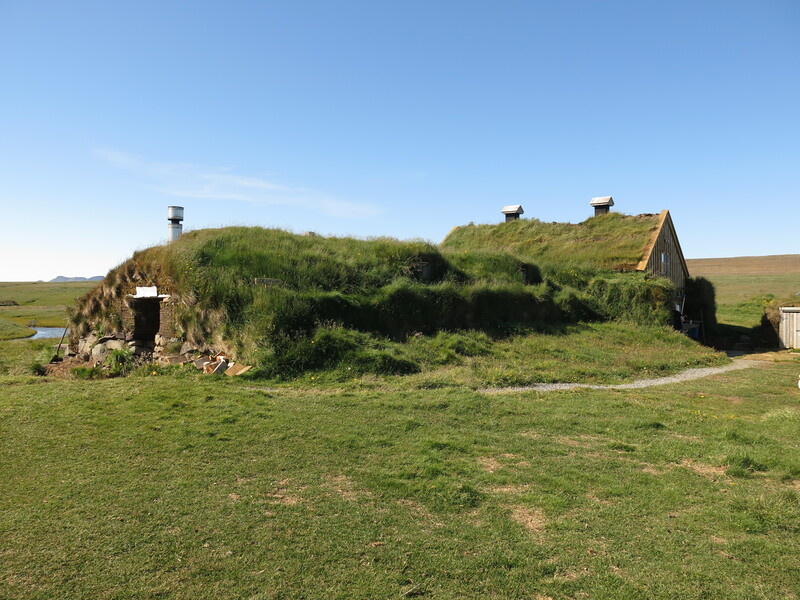 Those who submit cards stamped at 10 farms will be publicly recognised and their names put into a raffle, from which winners will be drawn in September each year at the office of the Touring Club.